This is the second post in a blog series about working with remote systems using PowerShell Studio. 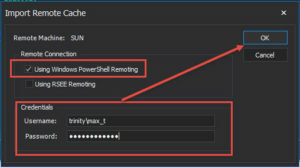 In the previous blog post I covered how to use the Cache Export tool to cache module information from a remote system using the Import Remote Cache button, which makes the modules available in the PowerShell Studio Object Browser. 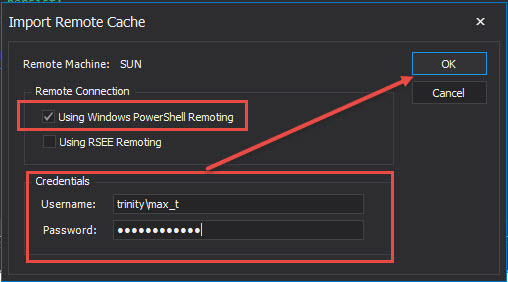 In this blog post I will show you how to use Windows PowerShell Remoting for remote scripting using PowerShell Studio. Before we start we need to configure our system to support Windows PowerShell Remote with PowerShell Studio. 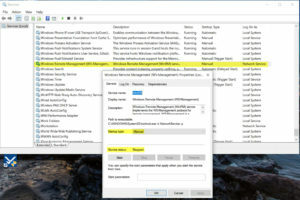 Note: This command enables the computer to receive remote commands via the WS-Management service. 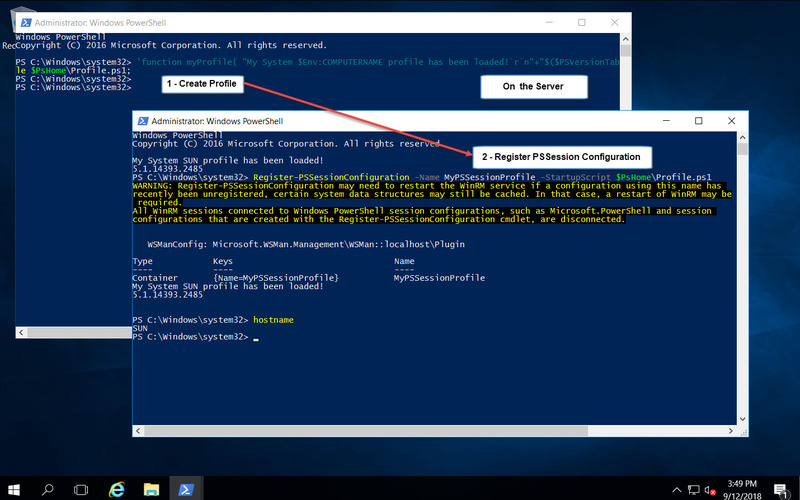 Next, verify that the WS_Management service is running (see image below). By default, this service will remain in Stopped status with the Startup Type set to Manual. Note: Remember that PowerShell help information is available in your system. Execute the “Update-Help -force” command to download PowerShell help topics and cmdlets documentation. Although it is not mandatory to create a PowerShell Profile, it is beneficial when adding your own set of custom functions and also when adding PSSnapin’s because they are made available when the PowerShell console is active. 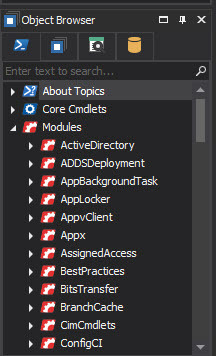 Keep in mind, PowerShell Snap-ins are not modules and are not loaded automatically. If you are considering using a PowerShell Profile, it will be useful to add PowerShell Snap-ins during the PowerShell Remoting sessions in either Windows PowerShell and PowerShell Studio console. These steps will need to take place on the remote system that will be accessed from Windows PowerShell, or from PowerShell Studio Consoles. 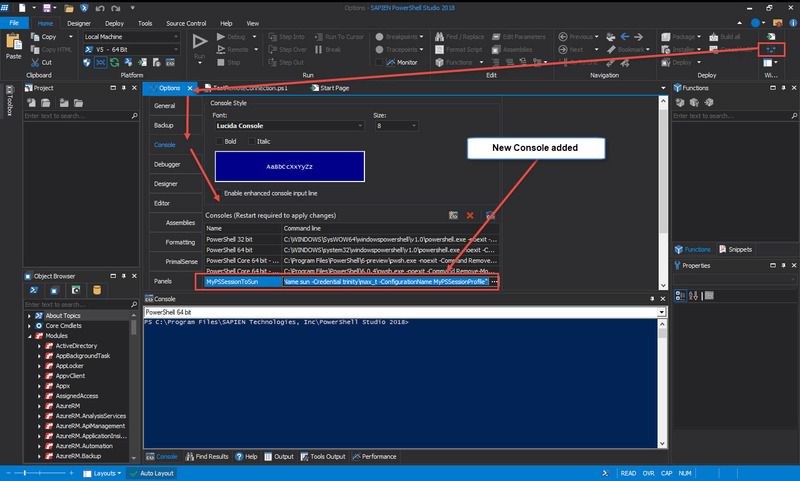 Finally, using either the Windows PowerShell Console or the PowerShell Studio PowerShell Console, we proceed to create a PowerShell Remote session from our local machine to the remote system. Using the Enter-PSSession cmdlet with the parameter ‘-ConfigurationName’ followed by the name we registered in the PSSession configuraiton command. 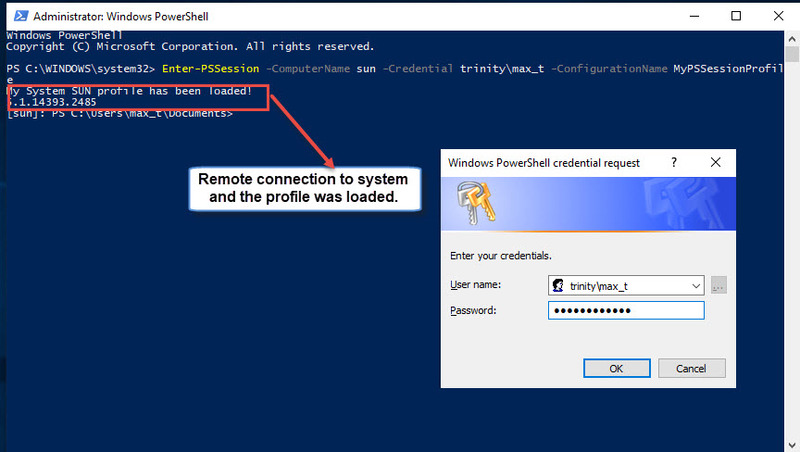 This will load the PowerShell Profile during the remote session. This will verify that we have a successful remote connection to another system via PowerShell Remoting. If you don’t need to use the PowerShell Profile, PowerShell Studio gives you the ability to do remote scripting thru the Remote Console button found under the Platform ribbon menu. The Remote Console is good for basic system-to-system remoting without the need to create a PSSession configuration name. Type, or highlight the Enter-PSSession one-liner. Then, run in console to connect to the remote system. Repeat the steps for another system. 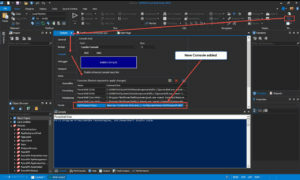 PowerShell Studio allows for creating additional Console hosts, and we can create remote connections to individual systems. This can be done using the Options button in the Windows ribbon menu. You can add custom consoles in the Console section. Note: Please notice that the one-liner has the system name and credentials hard coded. Also, the parameter ‘-ConfigurationName’ is optional. When you have added the new console host command line, exit the Option panel and restart PowerShell Studio. Select the newly added console “MyPSSessionXXX”, and this will remote connect to the other system. 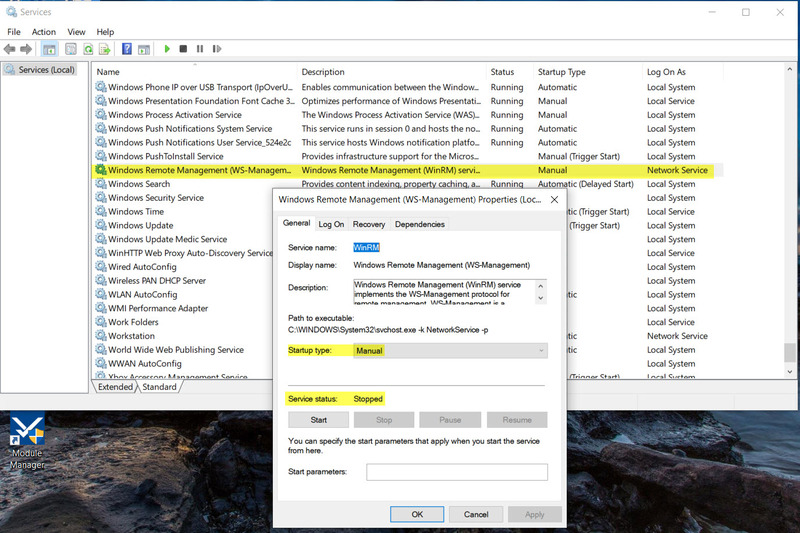 You need to properly configure and test your Windows PowerShell environment to support PSRemoting before you start working with PowerShell Studio against remote systems. 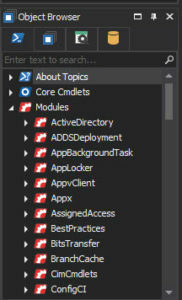 Taking advantage of the PowerShell Help documentation and PowerShell Studio features will assist in extending both your local and remote scripting to work interactively with PowerShell on any system. Note: The overall concept explained in this blog post can be applied to our PrimalScript editor. 1. 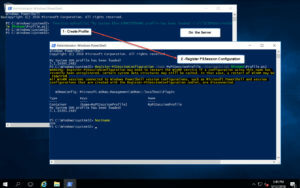 Developing PowerShell scripts for other machines (Part 2).